CHITWAN, Jan 21: After remaining at an all-time high for almost a month, the farm price of eggs has fallen slightly. 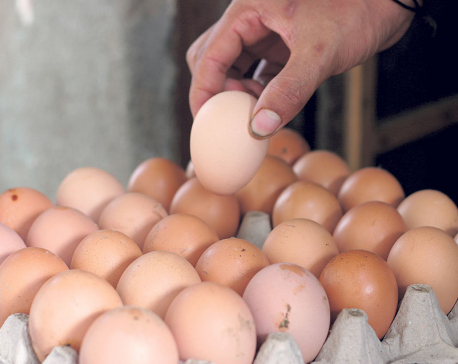 A meeting of Nepal Egg Producers Association (NEPA) and egg retailers held in Chitwan on Tuesday decided to cut the farm prices of a crate of large-sized eggs by Rs 10 and that of medium-sized eggs by Rs 15. The meeting set the prices of large-sized eggs at Rs 345 per crate of 30 eggs and that of medium-sized eggs at Rs 325 per crate. NEPA on December 23 had set the farm price of large-sized eggs at Rs 355 per crate and medium-sized eggs Rs 340 a crate, both all-time highs. According to Shiva Prasad Baral, the executive officer of Poultry Entrepreneurs Forum, retailers sell eggs after adding Rs 5 a crate. 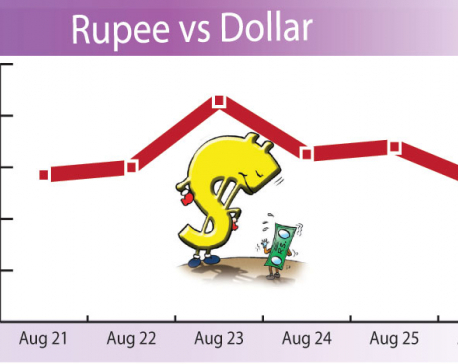 Previously, the difference between farm price and retail price was Rs 10, according to a notice posted by the association. According to the association, the price of eggs in other districts could be different from that of Chitwan. NEPA President Shiva Ram KC says an egg will go for Rs 14.5. KC says the production cost of a crate of egg is Rs 300. The price of egg was cut owing to a drop in demand, according to KC. The price of egg was Rs 320 per crate two years ago, but fell drastically following the 2015 earthquakes. “The farm price of eggs was Rs 250 per crate a month after the earthquake,” KC says. According to NEPA data, Nepal produces around 2.2 million eggs per day. Before the earthquakes, the country produced almost 2.4 million eggs per day. Production of the country was also badly hit by the tarai unrest and the subsequent unofficial blockade by India. KC says the egg business has not managed to return to pre-earthquake days. There are more than 16,000 egg-laying chicken farms in Nepal. Farms in Chitwan produce 60 percent of all eggs in the country, KC says.